Moroccan rugs and Moroccan inspired rugs are traditionally hand-woven rugs from different areas of North Africa. 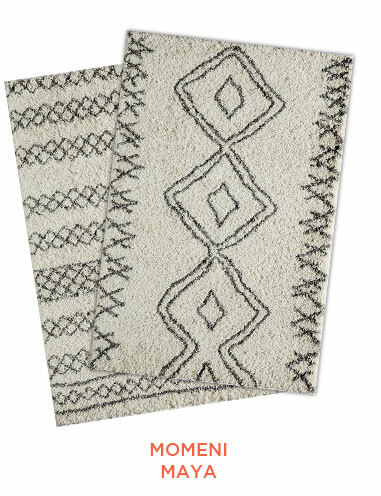 The patterns of these rugs come from tribes dating back thousands of years, passed down from generation to generation. They were originally used for their utility and are created in varying thickness depending on the region. The rugs can be high pile in for colder climates or thin for warm areas. 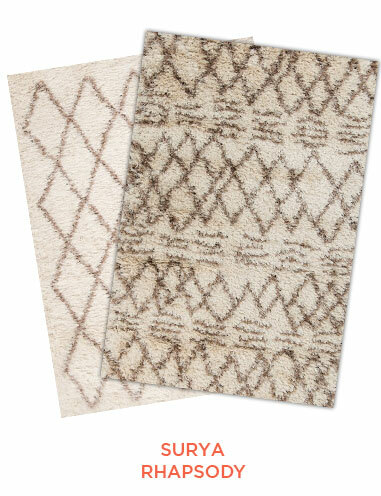 The patterns and weave of these rugs make them versatile and durable, a great foundation for any room. 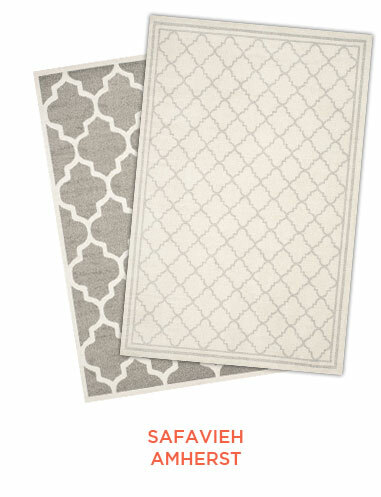 When I’m looking for a great neutral colored rug that doesn’t show a lot of wear, I love to use a Moroccan rug. 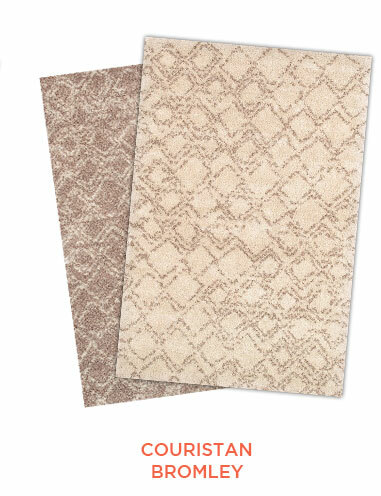 Their unique patterns, blended in neutral tones, work well even in high traffic areas. 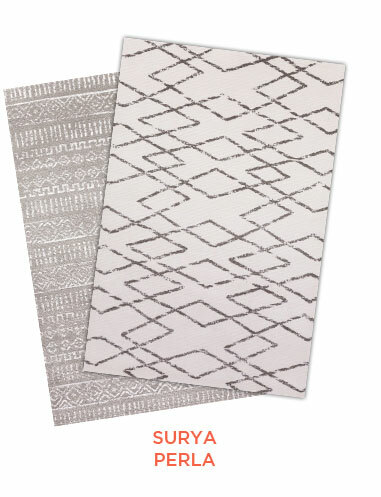 They can be used in sophisticated or casual spaces and bring a ethnic, global feel to a space with a modern edge. 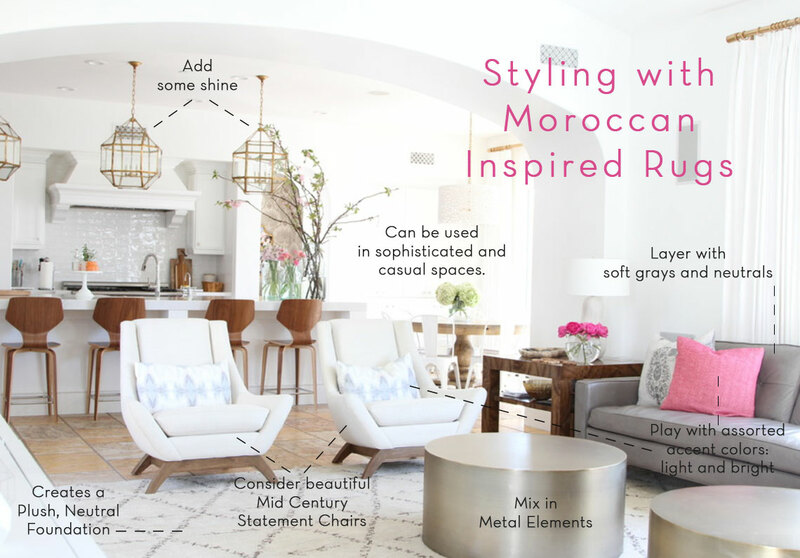 When styling with Moroccan rugs, I like to layer fun watercolor or ethnic textiles and a few pops of color. They work great in modern or eclectic spaces. 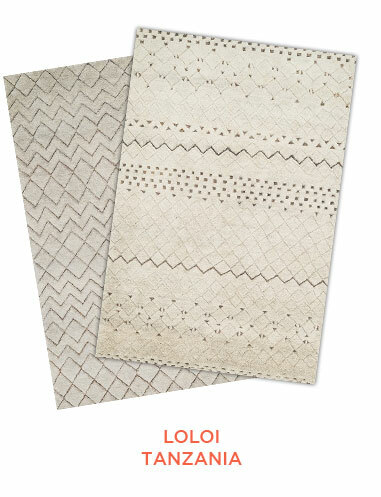 A Moroccan rug is an instant update for any living room or bedroom. Be organized in your decorating. Clear out the clutter. If you don't love it, donate it. It's always good to get a fresh start with a clean eye. Having your space cleaned out will open up new possibilities for design layouts and give you peace of mind. Also, always edit. In my experience less is always more. When you choose a simple palette and the right pieces for the foundation of a room, all you have to do is add a few details to finish it off. Like I said, when accessorizing, a little goes a long way! For more decorating tips, please visit my website, beckiowens.com.